We were up early on Easter Sunday for the Easter Sunrise Service. The weather was very cloudy and overcast and the forecast was for rain. Fortunately, the rain held off. The service began at 7:00 am on Sunday March 27, 2016 at the Sidney Lanier Bridge Park on the north (Brunswick) side. This was a joint service with brothers and sisters from The Marshes of Glynn Baptist Church, Grace Baptist Church, and The Grace Place Church. We received a blessing in the enthusiastic and uplifting message from Pastor Steve Phillips at Grace Baptist and in the music chosen and led by Pastor Harold and his wife, Ruby from Marshes of Glynn Baptist. 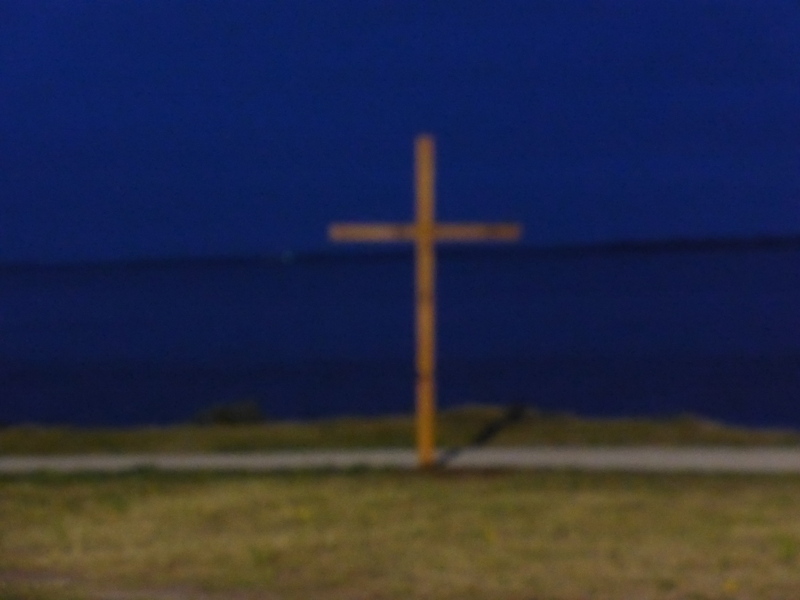 A special thank you to Randy Squires and Doyle Hughes for setting up the cross again this year! John Waters took several photographs and will be added to the website (under PHOTOS) once received.